Multidirectional instability of the shoulder can be a difficult management problem. It usually presents in adolescents and young adults with hyperlaxity of several joints. Initial management of multidirectional instability is directed at a supervised exercise program consisting of rotator cuff, deltoid, and periscapular strengthening exercises. 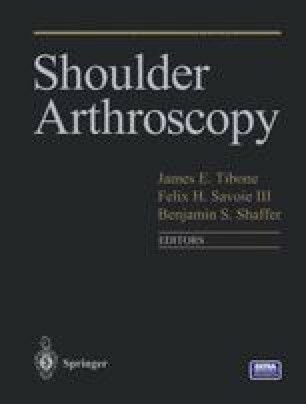 While conservative therapy is the mainstay of treatment and often successful, a subset of patients fails to improve, and surgical intervention is necessary to effectively restore shoulder stability.